Turn On Your Love Light Duke 344 / Here's The Man !!! Stormy Monday Blues Duke 355 / Here's The Man !!! I always picture the late Bobby Bland as a man who could cry for England, or in his case, for Memphis/Houston. Both cities need a mention since he was part brought up in the former but recorded much of his magnificent work for the Duke label in Houston, Texas. Of all the ‘big’ soul names he is undoubtedly the most obscure to readers in the UK. It’s with those words that I opened my piece on Bobby “Blue” Bland in “RocknRoll”. And I’m unashamedly borrowing several other chunks from that source. That’s his second single, though the first to be credited to Bobby Bland. It was released by Modern Records of L.A. but produced by Sam Phillips at the Sun Studios in Memphis. Ike Turner was on piano and, according to the downloader’s note, Matt Murphy on guitar. That said, the drenched-in-feedback electric guitar does sound like Willie Johnson – both Johnson and Murphy played on the Howlin’ Wolf singles also recorded in the Sun Studios. The single was Crying All Night Long/Dry Up Baby but the A-side’s not on YouTube. Shame. Bobby evidently started crying at a relatively early age! That’s my cue for some biographical stuff. 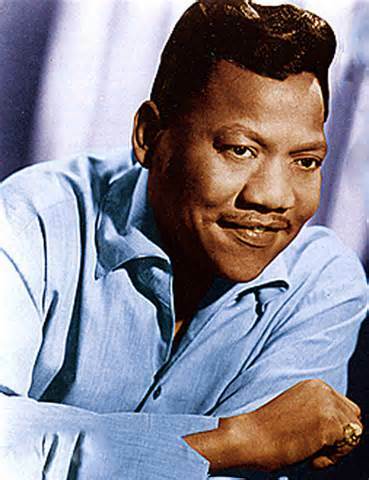 Robert Calvin Brooks, later known as Bobby Bland or Bobby “Blue” Bland, was born in Barretville, Tennessee in 1930 but the family moved to Memphis, Tennessee in 1947. The surname Bland came from his stepfather, Leroy Bridgeforth who was also known as Leroy Bland. Like virtually all soul singers – well I haven’t found an exception yet – he sang in gospel groups in his youth. His singing brought him into contact with a loose group of musicians based around the famous Beale Street area of Memphis, and known as the Beale Streeters. That group included B.B. King, Johnny Ace, Rosco Gordon and Junior Parker. Farther Up The Road in 1957 was the first Bland single to breach the R&B Chart in a major way – it reached the illustrious #1 spot and even nudged into the lower levels of the US National Top Fifty. It was the culmination of a series of records that generally get classified as Modern Texas Blues, a genre that was largely created by T-Bone Walker. It is characterised by prominent stinging lead guitar – in Bland’s case this axe work often came from Clarence Holliman or, in later days, Wayne Bennett, though on this record Pat Hare (Junior Parker’s guitarist) did the honours – with a small backing group often featuring one or more riffing horns. The format continued until roughly the end of the decade but even as early as 1958, largely coincident with the arrival of arranger Joe Scott, records started appearing with a less formalised blues structure and added instrumentation. The remarkable Little Boy Blue is an excellent example. The impression is that Bland has been told in no uncertain terms not to hold anything back. While the lyrical theme may have been broadly blues, it wasn’t blues as we thought we knew it. Whether this was a reaction to what James Brown was doing to the blues up in Cincinnati we’ll probably never know, but this record and the ones to follow from Bland, heralded the appearance of an artist very much in his own right. Whereas his earlier records might have been seen as refinement of the output from contemporaries like Gatemouth Brown and Pee Wee Crayton, from somewhere around the end of the fifties, these were Bobby Bland records which bore limited resemblance to anything else around. Just hold that thought re music that bore little resemblance to anything else around, while I return to Mike Raven, pirates and what I got up to in digs in Chatham. It didn’t take me long to realise that Mike’s musical tastes were remarkably similar to my own and that he’d be a reliable recommender for records. As a consequence I ordered the first Bobby Bland LP, Two Steps From The Blues and, over time, others including James Brown’s famous Live At The Apollo. None of these were in stock items; they all needed ordering. Over coming months I also bought a shedload of Bobby Bland American singles, usually with the centres punched out, from that cellar shop in Lisle Street, Soho which specialised in US imports. Memory failed me on the name but I’ve subsequently confirmed via the wonders of Google that it was called Transat Imports. Bought a B.B. King best-of on Modern there as well, plus loads of Excello blues. A first reading of that chunk of text – and bear in mind that it’s surrounded by not dissimilar paragraphs that could only have come from a sleeve of the era – leaves an overly flowery (or even yukky) impression. And yet repeated listening to the album confirms that there’s considerable truth in what Dzondria – fabulous name – was trying to tell us. It is blues even if not the form of blues that we were used to. (And I think I’ve said something like that before!) Between them Bobby Bland and Joe Scott had conjured up something new, something that took advantage of the gospel grounding of Bland and the versatility and strong musical background of arranger (and trumpeter) Joe Scott. The term Soul Blues was later coined to cover music such as this. I later discovered that Bland wasn’t the only soul blues man around in the late fifties and early sixties. Little Willie John was ploughing a broadly similar furrow and Chuck Willis, who died early, would sometimes dip into soul blues. While LPs weren’t really the norm in blues music at that time, whoever compiled this one did a brilliant job. Yes it’s all singles (though some would have been released after the album), but without exception, they’re fabulous tracks with no dip in quality throughout. While it’s certainly true that Bobby’s recordings during this period included many that I’d call classics, not absolutely everything was at this level. The compiler – probably the very hands-on Don Robey – gave us the cream of the crop as it were, ruthlessly excluding anything that wasn’t quite up to snuff. It’s at this stage I should come clean and let the reader know that my entire Bobby Bland Toppermost is drawn from his Duke days. Indeed, I could almost have culled my Ten from Two Steps From The Blues. As it is, half my tracks can be found on that album and I started with an even higher number. Let’s pick up on some of the exceptions first. Bobby declared his independence on Don’t Want No Woman which was set to an archetypal Texas Blues Shuffle format, and was one of the earliest tracks, session-wise, on the album, with the single having been released in Spring ’57. It was the release that preceded Farther Up The Road. Between them, these two pretty well defined Texas Blues Bobby Bland style. Maybe there was a feeling that “we’ve done as much as we can in this medium – it’s time to move on.” It sits slightly oddly on the album as a statement of where we’ve come from, but tasty for all that. Don’t Cry No More is a complete contrast. One of Bobby’s rare fast tracks, released in ’61, it’s also one of the few that benefits from a Memphis Horns style backdrop (albeit to a latin guitar riff) plus a scorching sax solo. Rarely, she’s the one crying this time but Bob’s in fully blown shout & scream mode. And there’s a world of difference between the delivery and the content which could have been framed by one of those soulful ballads which populate much of the rest of the album. Near identical lyrical phrasing pops up again on the slow-to-medium tempo ballad Cry Cry Cry, only this time Bobby wants her to cry him a river and cry him a sea while he’s upfront with enough tears pouring forth for both of them. The horns are here as well and are very much in response mode a la Ray Charles but that Texan guitar is also included and that’s very much Bobby Bland. All in all this is as close as the album gets to soul music as we thought we knew it. I’m reminded of the phrase from Dzondria, “blues is a many splendoured thing “when listening to I Pity The Fool. It alternates twelve bar blues verses with Bob in conversational style with a chorus where our man’s agonised screaming is echoed by screeching horn riffs with the volume turned up to eleven. In between Bob finds time to perform some elegant duetting with that ever present guitar. A triumph for vocalist Bobby, arranger Joe Scott and the lyricist who would appear to be the ubiquitous Don Robey again (see Footnotes). I’ve heard a few covers of this track including one by an early Bowie in the Manish Boys but none come anywhere near the remarkable original. Notwithstanding the instrumentation and the lyrics, it was that voice that carried the songs. How does one describe it? There are no easy comparisons which is something in itself – many singers start off emulating someone else but Bobby’s voice was distinctive even on those pre-Duke records and it became even more so after he’d hooked up with Joe Scott. There’s precision there and often a hurt form of warmth. And he could move from little more than a whisper to full bodied screaming, or what I’m inclined to call crying, in an instant. But he never bludgeoned you. His best records – and I include most of the Two Steps contents in that category – were two or three minute journeys with Joe painting the scenery and Bobby telling and acting out the story. In his peak period (which for me is roughly 1957 through to 1964), Bobby rarely recorded what I’d call pop songs, unlike, say, Sam Cooke. But there were some exceptions. Call On Me was one and it’s wholly delightful. The reward was one of his best placings in the US National Chart. As mentioned, Yield Not To Temptation is also an up-tempo stormer and this time arranger Scott throws in a femme chorus in true Raelettes style. It’s another that almost made the list but was kept out by one that some might consider a corny song choice, Rodgers and Hart’s Blue Moon, but it’s Blue Moon as you might not have heard it before. Joe Scott gives it one of his most striking arrangements which grabs your attention from the first few bars. It’s tempting to say that this is Bob in Tony Bennett mode but he’s his own man even if you know damn well that he’s listened to them all: Como, Sinatra, Nat King Cole and more. Stormy Monday Blues (see Footnotes for an attempt to clarify some of the confusion surrounding this title) is a song I first heard sung by Herbie Goins accompanied by Alexis Korner’s Blues Incorporated on Red Hot From Alex in 1964. With its imaginative lyrics and sympathetic arrangement it was the standout track from the album. A year or two later when I heard the Bland version I understood fully where the inspiration had come from for the Goins/Korner take on the song. Later again, I heard the T-Bone Walker original, or to be more precise, one of the many versions T-Bone had recorded of the song. It was one he was constantly going back to as if he was never quite satisfied. I very nearly excluded Bobby’s cut from my Toppermost because it wasn’t the original. Common sense prevailed though as I suspect you’ll be pleased to hear. There’s room in my heart for both the Walker original and the Bland cover on which he and Joe Scott (and guitarist Wayne Bennett) create almost a new song from T-Bone’s ingredients. In the unlikely scenario that you’ve never heard the song I’d comment that it takes the theme of the Lewis/Domino song Blue Monday and expresses it with a higher level of elegance and wit. You Got Bad Intentions (1956) deserves inclusion for title alone! 1. The phrase ‘Cry for England’ (substitute verb as you please) will be familiar to UK readers but probably not to anyone else. Google doesn’t come up with an instant meaning but I can say in this context that our man didn’t half put out a lot of songs that involved crying – there are three in a row on Two Steps just for starters. 2. After his time with the pirates, Mike Raven took his R&B themed show onto BBC Radio 1 when the latter was mopping up soon-to-become-ex-pirate DJ’s at a rate of knots. He left radio presenting in the early seventies and switched to acting, mainly in horror movies. In the second half of the decade he moved to Cornwall and started farming, then branched out into sculpture. He died in 1997 and was buried in a grave he had dug for himself on Bodmin Moor (source Wiki). 3. Part of the reason for Bobby’s low profile in the UK is that his records were distributed here by Vocalion/Vogue, and (a) Vocalion records rarely got radio play and (b) they didn’t start to release him until 1961. 4. One of Bobby’s biggest early influences, which he has alluded to in interviews more than once, was the Reverend C.F. Franklin, father of Aretha, who had a strong pleading style. 5. In 1955, after he returned from what we in the UK would term national service, he commenced touring as the valet of the already established Junior Parker and was the opening act for him. The pair were frequent touring partners throughout Bobby’s career. 6. While Bobby’s Duke records up to roughly 1958 fit neatly in the modern Texas blues category, he was most unusual in that he didn’t play any instrument, let alone electric guitar on stage. That role wasn’t even filled by one guitarist, a whole host of string strikers provided those stinging sounds: Roy Gaines (a blues singer in his own right), Clarence Holliman, Mel Brown, Pat Hare (from Junior Parker’s band) and Wayne Bennett. The last is the name most usually quoted and he was usually present on Bobby’s Duke records from ’58 onwards. 7. The name “Deadric Malone” often appears in the song writing credits on Bland records. It’s an alias for Don Robey (whose undisguised name also appears in loads of credits). How many of these songs were actually written by Robey we’ll never know. He was one of the more brazen exponents of practices like adding his name to someone else’s credits, or buying out the rights to a song from the actual writer(s). There’s speculation that many of the songs from ’58 on were actually written by Joe Scott. 9. My copy of Two Steps has Bobby’s face and hands coloured a deep pinkish red (think aging tory politician inclined to start drinking well before eleven). This doesn’t seem to be the case in images I’ve seen of the sleeve. I have to assume that it was down to a faulty print run since I would hope that Vogue/Vocalion weren’t attempting to pass Bobby off as white! 10. I liked Two Steps so much that I even included it in a Top Twenty all time albums list solicited by one of the music mags in, I think, the eighties. My other blues submission in the list was the Wolf’s Rockin’ Chair album. 11. Stormy Monday Blues is a song written by Billy Eckstine and a couple of others and it was recorded and released by him accompanied by the Earl Hines Orchestra in 1942. Call It Stormy Monday (But Tuesday Is Just As Bad) is a different song written by T-Bone Walker and recorded and released in 1947. Both songs are slow twelve bar blues but both have entirely different lyrics. The Bobby Bland version of the T-Bone Walker song was released in 1961 and incorrectly given the title “Stormy Monday Blues”. The incorrect titling was continued on several later covers of the song. These days it is commonly referred to as “Stormy Monday”. 12. Bobby made eight albums while he was at Duke though the content of most was little more than singles. The first one of these, i.e. prior to Two Steps, was a joint compilation shared with label mate, Junior Parker. It was called Blues Consolidated and it came out in ’58. Bobby had one side and Junior the other. It’s a good ‘un from both artists, with Bobby’s side focussing on his Texas blues. I used to own it and the only reason I don’t have it now is down to a flat burglary in the early seventies. I can only state that said burglar showed taste. He/she also took the Blues Incorporated LP I referred to. 13. A good way of purchasing most of the key Duke material is via two albums from Ace Records UK. The titles are Bobby “Blue” Bland: The “3B” Blues Boy: The Blues Years: 1952-1959, and Bobby Bland: The Voice: Duke Recordings 1959-69. 14. In his ‘late period’ Bobby affected a rather strange snorting sound which he was inclined to throw in almost at random in songs. Reportedly, he did this when he was no longer able to achieve his falsetto. I confess that I find it irritating and would also remark that it seems a strange addition to his musical vocabulary when in other respects he was very careful with his diction. Phew. What a list! The Blues Brothers covered at least two Bobby Bland songs, showing the remarkable taste they had. And Elwood quotes Farther on up the Road. Mucho thanks guys. I’m sorry if I was a tad dismissive of Bobby’s non-Duke work but (a), the list was getting pretty long anyway (as noted by David) and, (b) there’s that thing about artists and labels – Solomon and Atlantic, Chuck and Chess, Jerry Lee and Sun etc. Apologies also for lack of name check for Van, a resolute supporter of Bobby. Was my mention of Hucknall adding insult to injury? Great story and a great list. Reading it, you can see what a labour of love it must’ve been to put this all down. On its own, the bibliography is an article. Very well researched and your personal opinions are well appreciated. There is a song, known to Canadians of a certain age by a group called Copperpenny who had two hits in Canada. One of them “Sittin’ On A Poor Man’s Throne” was also done by Bobby Blue Bland and is definitely worth a listen. Once again, thank you for the great read. Thanks Alex. You’ve sussed me! I figured out pretty early on in this lark that, when you’ve got some marvellous artist that you want to share with the world, telling a story (or two) is far better than lengthy and over-enthusiastic gushing at persuading readers to keep on till the end. Slipping in some personal opinions rather than received ones, won’t go amiss either. I’ve now checked out Bobby’s “Sitting On A Poor Man’s Throne” (which I hadn’t heard before) – love it, and I’ve discovered the delights of the Copperpenny version too. Dave, happy that I could contribute my two cents worth. Would also venture to add Copperpenny’s ‘You’re Still The One” to listen to. Unfortunately, they did not have a long career but thanks to Youtube, we can give them a listen. I think the best course with Mick Hucknall is to say ‘no comment’. Of course, Van was also responsible for two of the best Bobbly Bland covers – the excellent early one of ‘Turn On Your Love Light’ with Them and this brilliant version of ‘Ain’t Nothing You Can Do’. As always, Dave’s scholarship is remarkable. This is both a great primer and an exhaustive checklist for aficianados. Many, many thanks Viv. I’m not sure what it was but this one seemed to flow better than most when I was putting it together. I really hate to say this after Dave’s fine work but Stormy Monday is right up there with Whiskey in the Jar in my book (see Thin Lizzy Toppermost and attendant discussions). Too many bar bands, too many bad versions… run awayyyy! But y’know, Bobby’s the guvnor. Different topic … Bobby Bland in 2000, duetting with Van Morrison on Tupelo Honey. Richard Manuel & Van Morrison bonded over their shared admiration for Bobby Bland and Ray Charles. Some excellent comments as usual Peter. And my responses in no particular order. “Share love love with me” should definitely have been in Honourable Mentions at least. The strings on it are slightly reminiscent of the Holly NY Sessions. And, yes, there was a tendency for earlyish black singers to emulate white ballad singers/crooners since they were the ones who sold records in the late 40’s to mid 50’s. Partially there was the pressing need to make a buck, but also I think, they often genuinely liked them. Elvis, of course, fancied himself as a Dean Martin (and, arguably, that’s what he became). Loved the Van/Bobby Tupelo Honey and just posted on Twitter. Wouldn’t go along with the “Bland by name”. I always found him very distinctive though my attention did lapse post Duke. And was there a subtle/gentle dig re length? if so I have to hold my hand up. The one I’m working on at the moment is even bigger. It may be a over-reaction to too much use of Twitter with its 140 chars constraint. Thanks, Dave. Absolutely no dig about length. It changed … Rob Millis introduced the first … and very fine … long pieces, and then everyone got more thorough. I’d love to redo early ones like Chuck Berry at length … but I doubt the new album out in a few days would be on it. When asked what my favourite album is,I always reply Two Steps From the Blues,no hesitation. 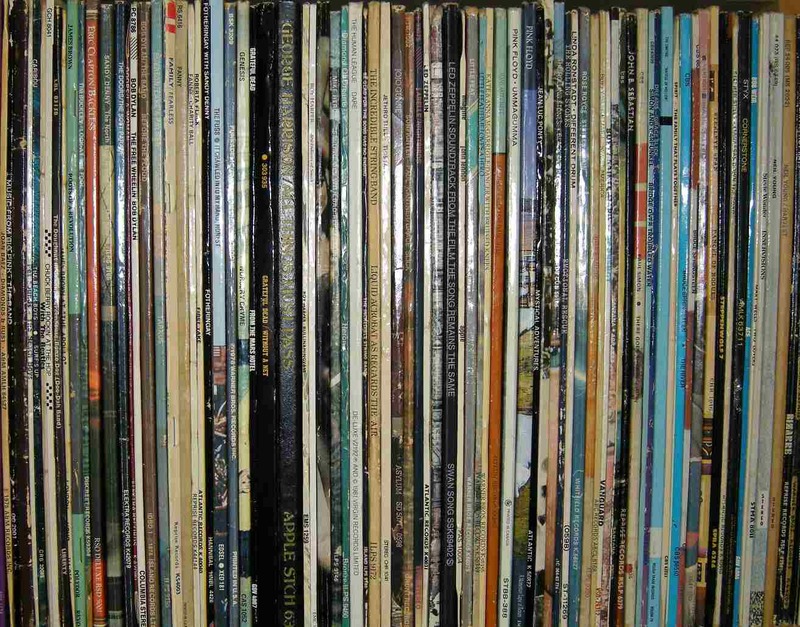 Lately I’ve been wondering ,however,if it is a bona fide album or actually a collection of singles! One wonders if an album is meant to include tracks recorded specifically for the compilation. Anyway,it’s definitely an LP! My old Vocalion LP was a superior pressing but it was to disappear and was replaced by the US Duke version. The colouring of the cover picture certainly differs between the two. Over the years,I read from more than one source that “Deadric Malone” was a composite credit for Bobby and his band. If I find my source,I’ll send it. But your advice that it was a pseudonym for Robey (or maybe Scott) seems more credible and I’m happy to go with that. Two Steps is easily in my all time top ten albums and I’ve no problem with it consisting of singles. With few exceptions, that’s what albums were in those days, singles and filler with the latter sometimes being tracks that weren’t considered good enough to be singles. That system produced classics like the Everlys’ first and the Wolf’s Rocking Chair LP so I’m not complaining. And I bet you enjoyed that spin.